UPDATE: – 8/13/13 – Police found a body with the help of a cadaver dog on Tuesday afternoon near the Pittsfield Cemetery. They believe it is the body of Michael’s, but at this writing it has not been confirmed. Previous story Michael Gokey, 21, of 28 Highland Ave., in Pittsfield, Mass. was last seen at his home around 7 a.m. on Tuesday, August 6, 2013. He is known to go hiking in the Lake Onota Village area and St. Joseph Cemetery. Michael is described as 5 feet, 10 inches tall. He has blond hair, blue eyes and a thin build. 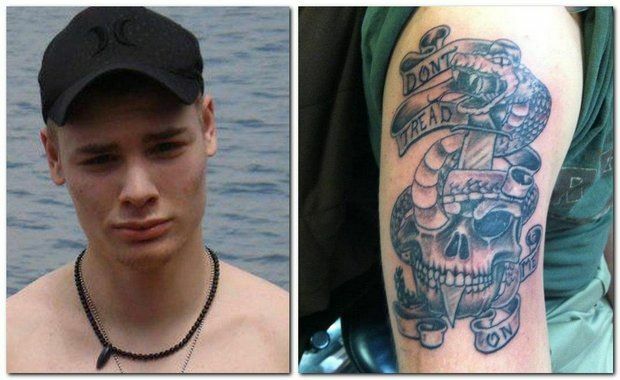 He has a large tattoo of a skull and snake on his right shoulder, and a tattoo of a red cross on his right forearm. Anyone who has any information about Gokey is asked to call Pittsfield Police Department Detective Bureau at (413) 448-9705.